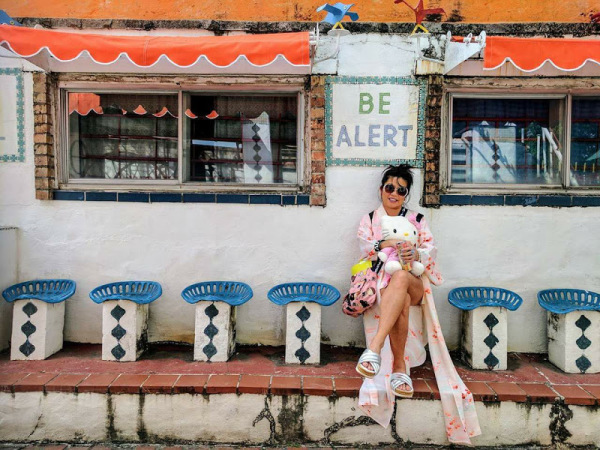 Kimono Zulu, a creative exploration led by Tina Zulu, is a fashion brand that draws upon the rich history of traditional Japanese attire, mainly the kimono, and its influence on other cultures throughout Asia and the West. Through artist collaborations, Tina Zulu inspires and initiates the visual conversation for artists to incorporate their own design sensibilities into the vision for the brand, bringing new life to vintage kimonos in a thoughtful, beautiful and often playful way. The reimagined kimonos are embellished and modernized to be enjoyed as unique, one-of-a-kind pieces of wearable art. Collaborators to date include: GONZO247, Janavi M. Folmsbee, Emilie Duval, Selven O'Keef Jarmon, Katsola, Dandee Warhol, Christy Karll, Jennifer Gabiola of Dawning Soul, Royal McGee, Mina Gaber, Soi-K, Shelbi Nicole, Dawn Bell, Falon Felscher and Judy Masliyah of My Flaming Heart, Sebastien “Mr. D 1987” Boileau, Elijah Coccetti, Uyen-My Pham, Rene Cruz and Ann Brooks. For more information, visit www.KimonoZulu.com and follow on Instagram @KimonoZulu. Our brand muse Zoe is a long-time friend and personal inspiration -- not only in the fashion sense, but also by the way she lives her life. Zoe’s fun-loving attitude, creative energy and generosity is contagious and we are grateful to have her support as we spread #kimonofever to all.